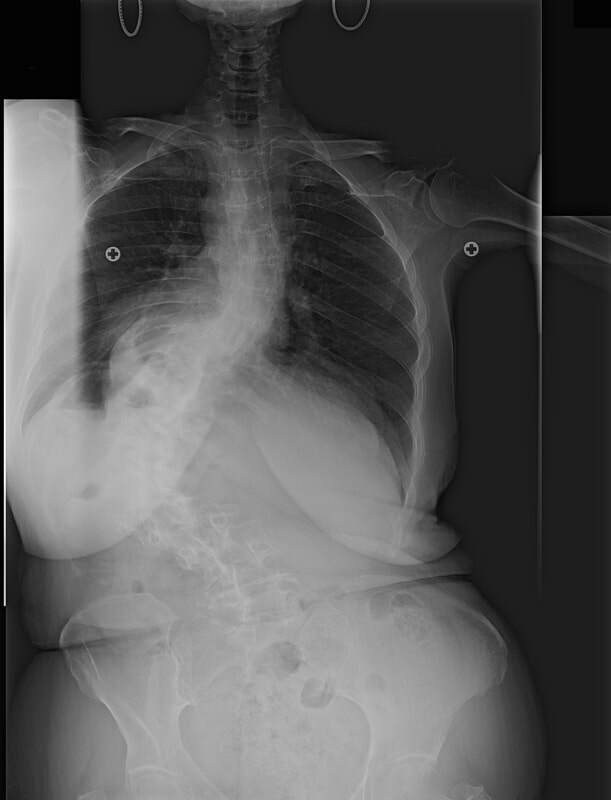 Treating adults with Scoliosis is a specialty that we have been doing at Bay Orthopedic for over thirty years. Adult bracing is really nothing like the braces used in treating growing children and it requires a special expertise and technique that we have honed over the last 30 years to be both effective and comfortable. The braces are much softer and flexible than the counterpart used for juveniles and adolescents. Each case is handled individually and no two cases are identical. We can use very soft transparent materials or semi-soft or more rigid materials that are more opaque. The materials used are selected to your tolerances and goals. The goals in using scoliosis braces for adults is primarily pain relief, stabilization of the spine and an improved quality of life. Our usual protocol is for a patient not to use a brace more than 4 hours a day and to utilize Schroth Physical Therapy type exercises at home. So it doesn’t matter whether you have had untreated scoliosis all your life or whether you developed scoliosis later in life, we can probably help and give you an alternative to surgery and pain relieving medication . Just call to make an appointment and we will provide you with a free evaluation as to whether we can help. A prescription is not necessary prior to our evaluation. Our braces for the treatment of Scoliosis Pain are usually covered by Medicare and most other health insurance plans. Above: Before Xray and after with brace. 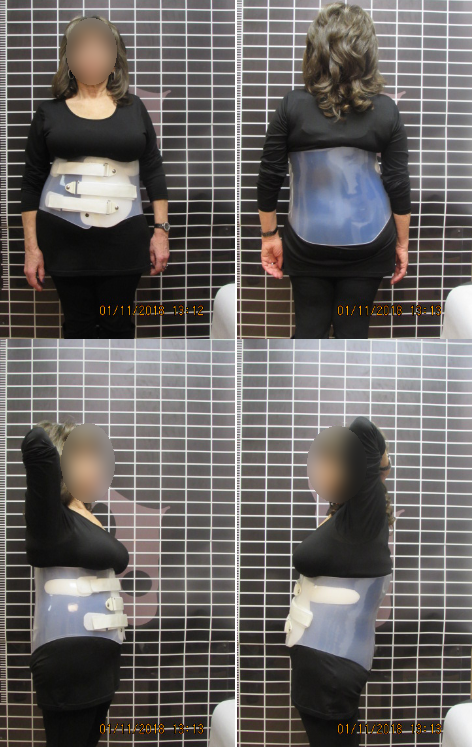 ​ Patient is wearing a soft transparent form fitting scoliosis brace. It is supporting yet flexible and discreet if worn under clothing.